It was pouring down all night with thunderstorms in Dnipro, but by the morning the downpour had stopped, so the Orange-and-Blacks left the hotel for a short while to walk down the central streets of the city. - In Kharkiv, after claiming the tenth championship, I took selfies with Pyatov and Srna, - says Shakhtar fan Valerii Moiseyenko. - Today I’ve come specially to ask Andriy and Darijo to sign the pics. Why these players? Because Pyatov is my idol, and Srna is the club legend. I’ve been afan of Shakhtar for 20 years now. When residing in Donetsk, I regularly went to the Donbass Arena. Now I’ve moved to Dnipro, but I still try not to miss a single match of my favourite team. We root for Shakhtar together with my son Mykyta. After having lunch and some rest, the Orange-and-Blacks will leave for the stadium. The starting whistle for Shakhtar vs Stal will be sounded at 17:00. Watch the game live on Futbol 2 TV channel. 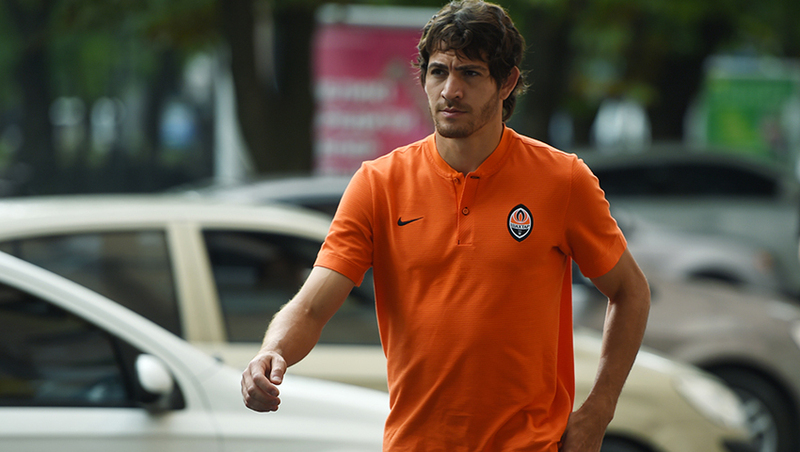 The text commentary will be available at shakhtar.com. Sign up to the Telegram and Viber accounts of FC Shakhtar and receive messages about the line-ups, the goals scored and the outcomes of Shakhtar’s every game.